South Australia's Whyalla steelworks has been crippled by the statewide blackout caused by severe storms and operators are now racing to restore power to save further costly damage and production losses. The vast steelworks owned by Arrium, which went into administration in April, is one of a number of businesses disrupted by the widespread power outage. Arrium administrator Mark Mentha said the Whyalla plant was maintaining some critical operations from an on-site generator, but the electricity needed to run steelmaking operations was not available, leaving production processes halted. "Basically we have lots of critical events occurring around the plant and we're responding to those as best we can. We've been going nearly 23 hours now without power," he told AAP. Molten metal was cooling in the blast furnace and other pieces of infrastructure had already suffered damage from the outage, Mr Mentha added. "Metal is now solid in the caster plant so we'll have to remove that, it'll take about three days to weld that out," he said. Mining operations and regular production of 3,500 tonnes of steel a day have now halted, and Mr Mentha said it could be up to a week before power is restored. The power failure - caused by ferocious storms that damaged a power station and at least 20 transmission towers - also forced BHP Billiton to suspend operations at its massive Olympic Dam site, where it produces copper, gold and uranium. "Following the loss of power in South Australia, Olympic Dam was able to safely shut down," a spokesman said. "Back-up generators are currently providing power to critical infrastructure and will allow a restart of operations when power is restored." Smaller miner OZ Minerals suspended production its Prominent Hill copper and gold mine due to the disruption to its electricity supply. "The Prominent Hill site itself has suffered no damage and generators are providing power for all essential services," the company said. OZ Minerals said damage was being assessed and it could not say when power would be restored. Electricity provider AGL Energy said its Torrens Island power station near Adelaide was being brought back into the network and the company did not anticipate any material financial impact at this stage. 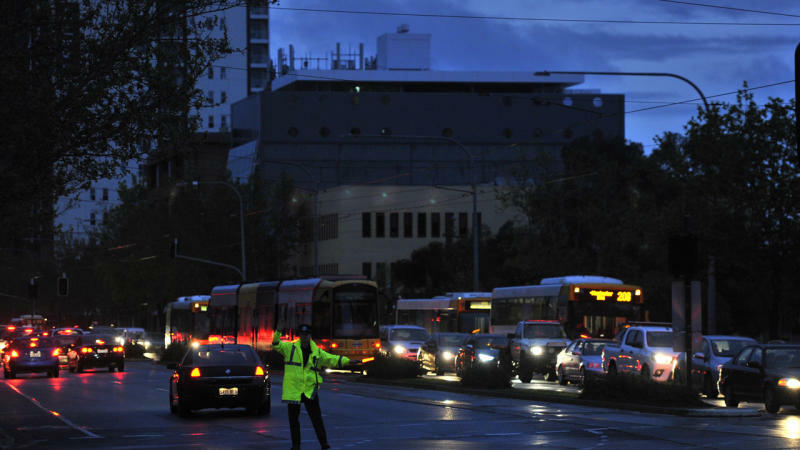 The Australian Industry Group fears the power outage will lead to big costs. "The storm damage to power lines has been severe and many individual businesses will have incurred big costs due to the outage occurring in the middle of production processes," Ai Group chief executive Innes Willox said. The Insurance Council of Australia (ICA) reports indicate "largely low-level damage to property across a very widespread area" but said it will take several days for a more complete picture to emerge.